The Tomb of Esther and Mordechai are the tombs of two Jewish people whose names appear in the Old Testament. 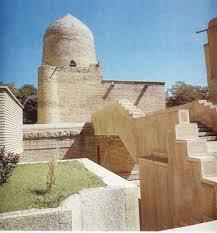 The building is made with bricks and stone on the graves of Khashayarshah‟s wife (Esther) and her uncle (Mordecai). There are antique wooden boxes and manuscripts o f the Old Testament inside the building.